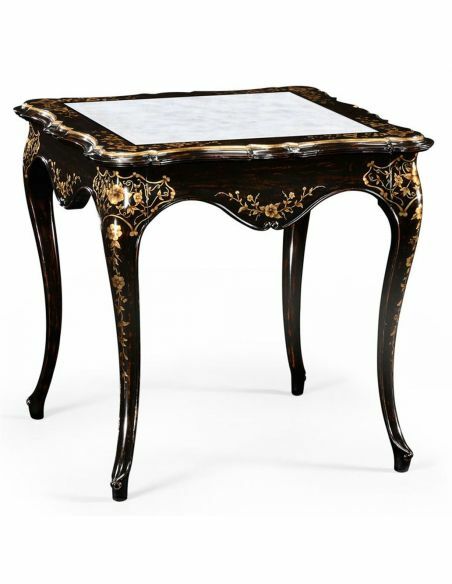 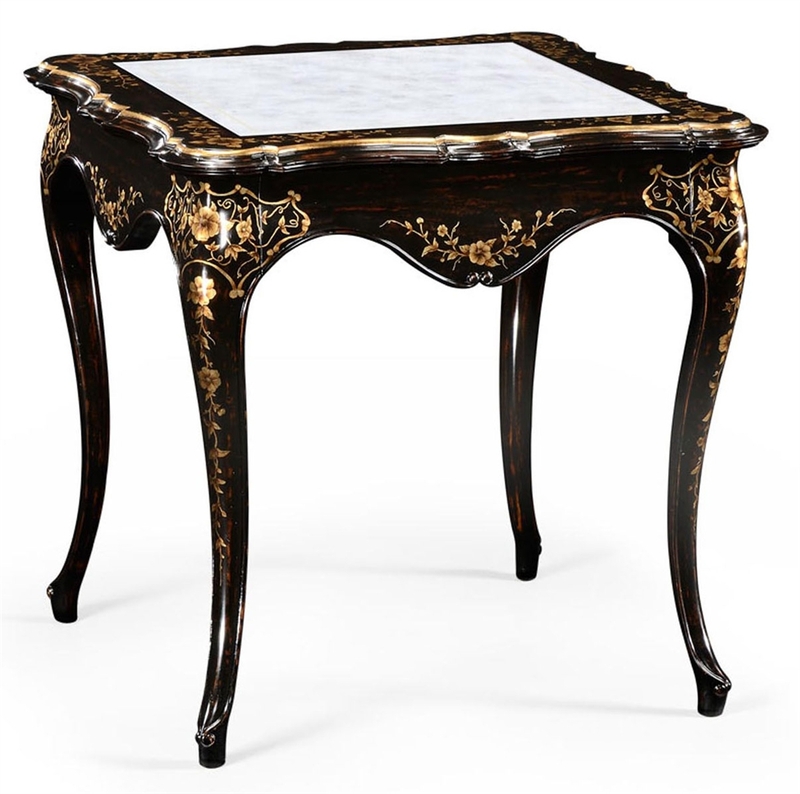 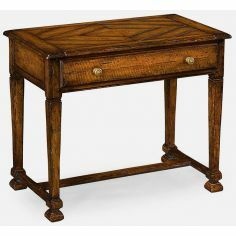 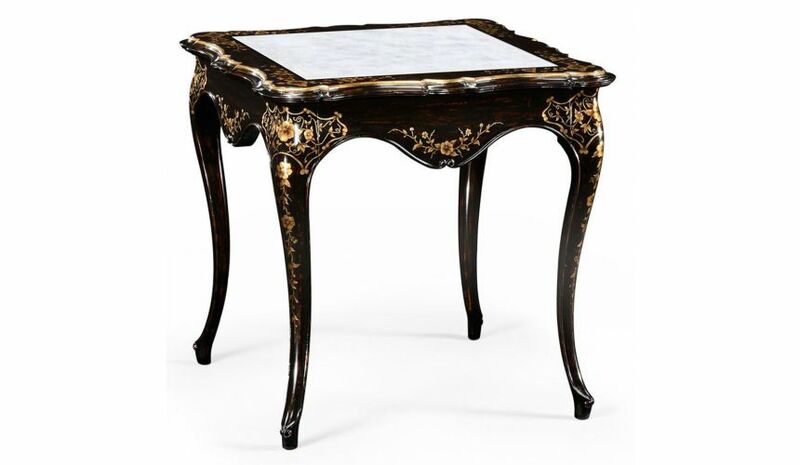 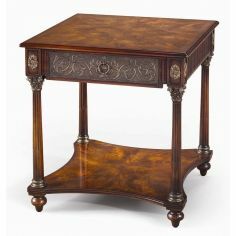 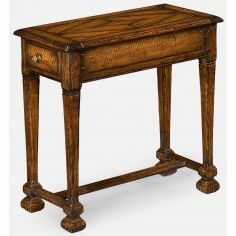 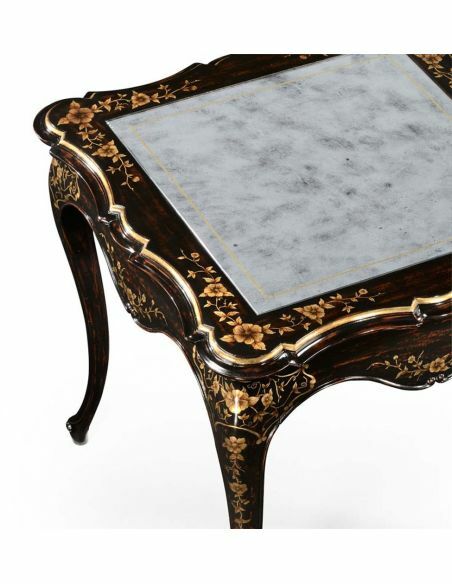 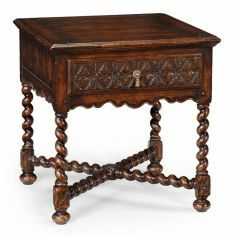 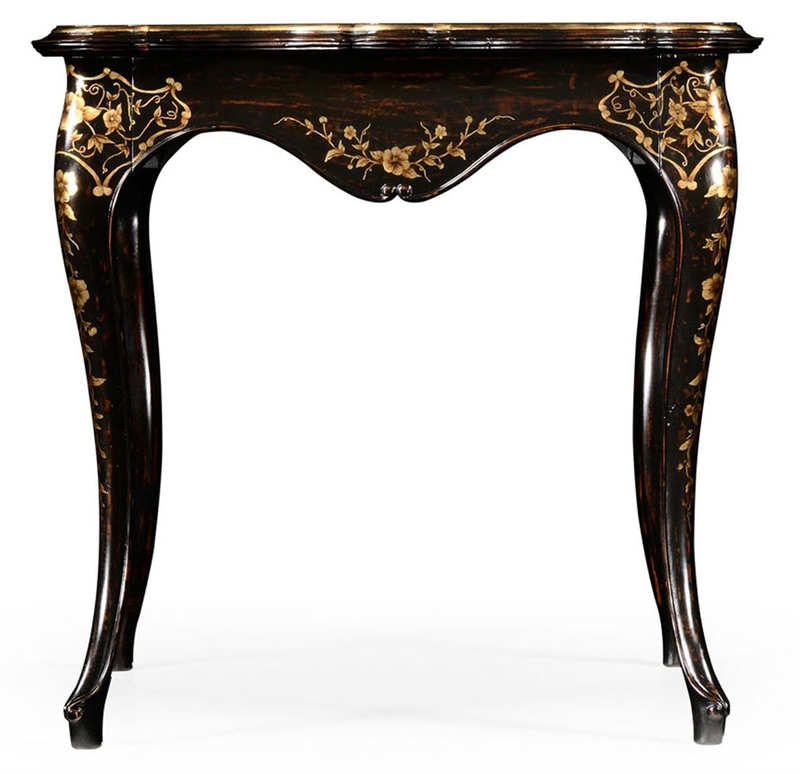 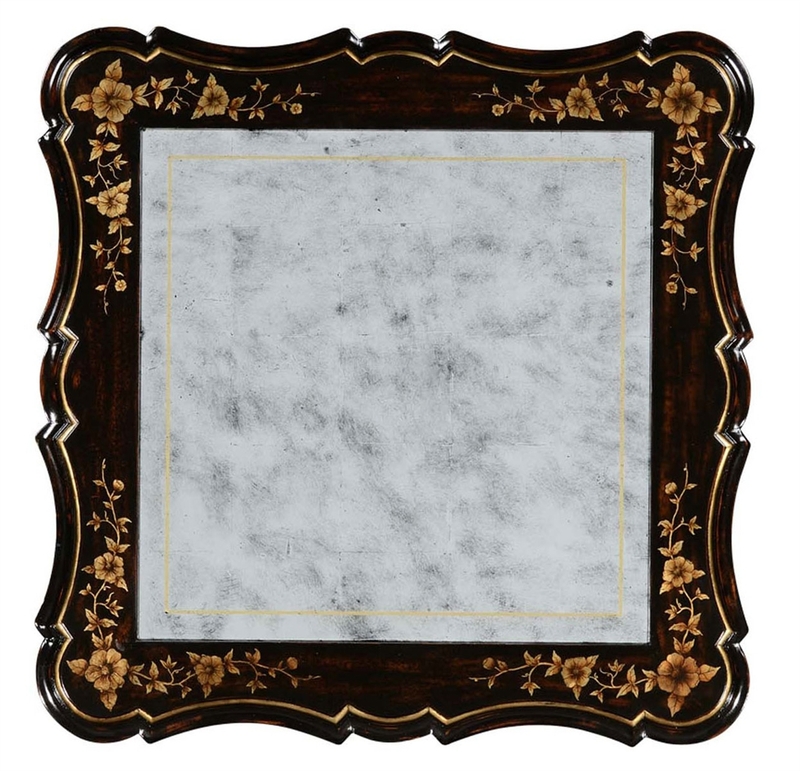 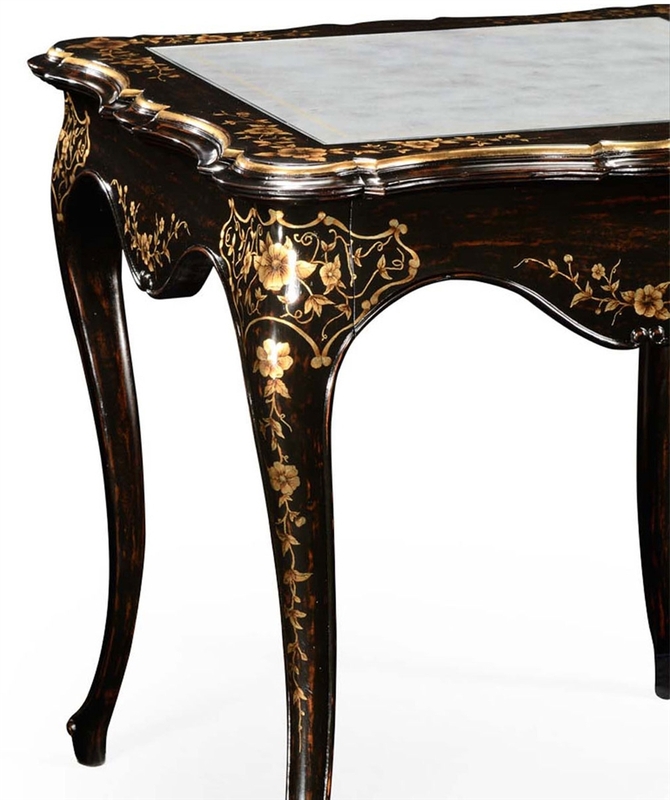 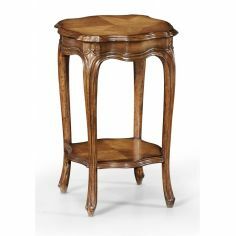 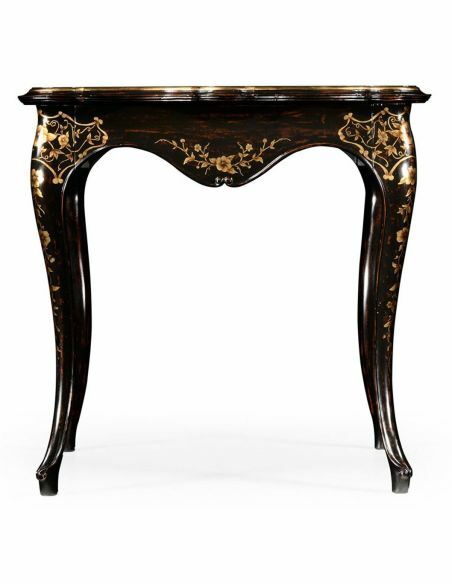 Elegant black painted side table with fine floral gilt details to the top, sides and cabriole legs. 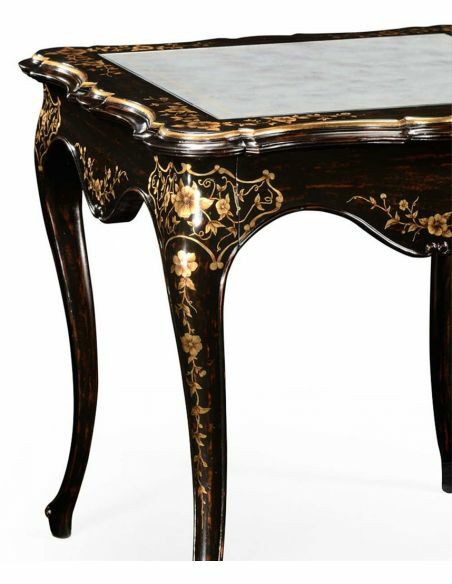 Inset eglomise glass panel with handpainted detail. 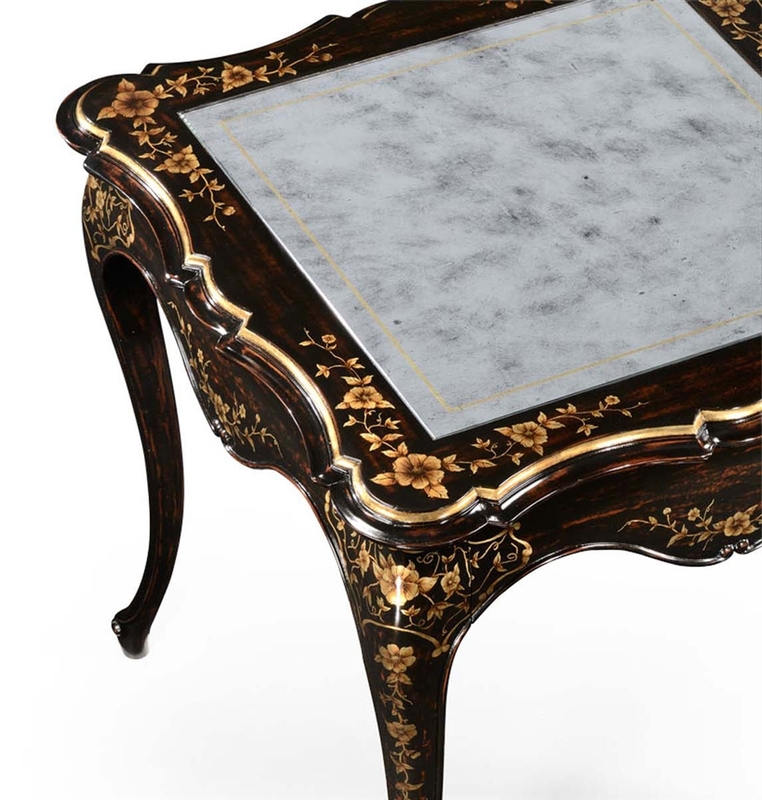 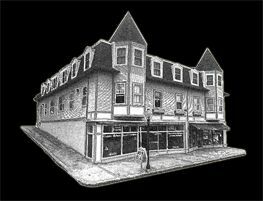 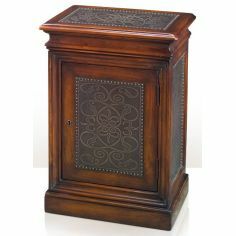 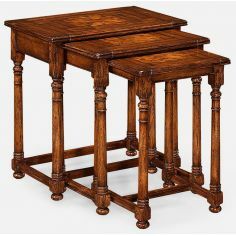 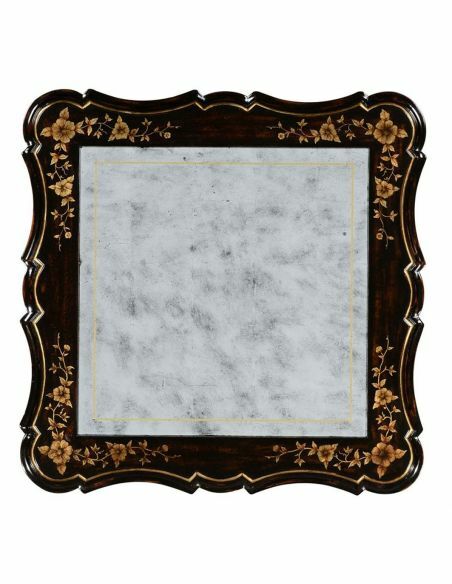 Inspired by English Victorian papier-mch furniture of the 1870's.